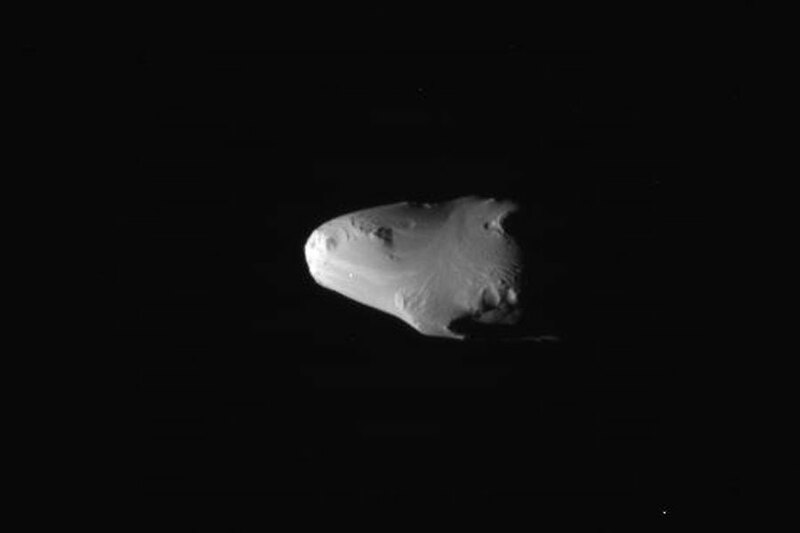 Explanation: Why is this moon of Saturn so smooth? This past weekend, humanity's Saturn-orbiting Cassini spacecraft passed as close to Saturn's small moon Calypso as it ever has, and imaged the small moon in unprecedented detail. 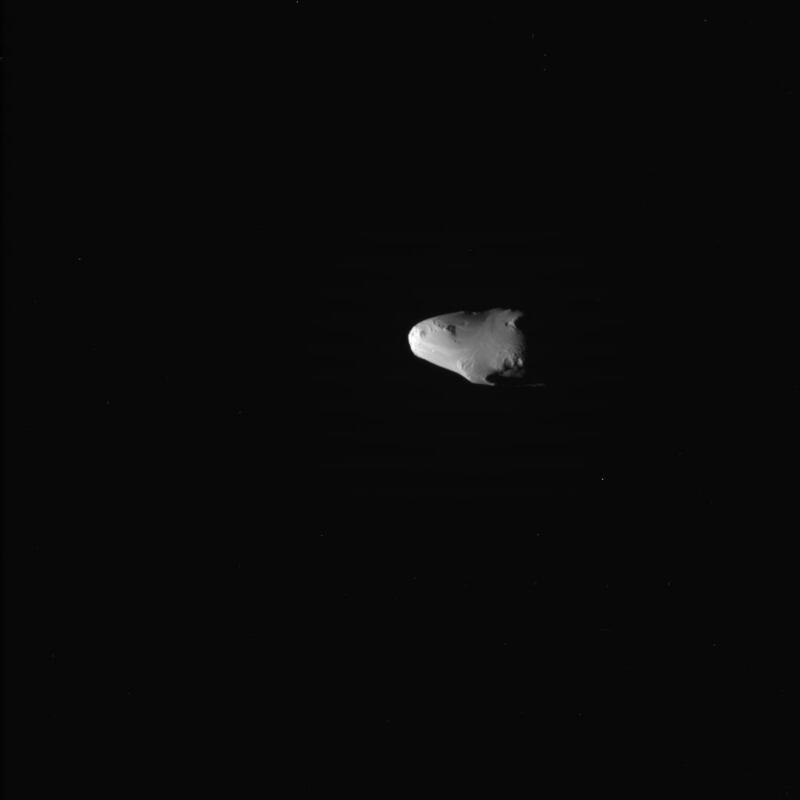 Pictured above is an early return, raw, unprocessed image of the 20-km long irregularly shaped moon. Like its sister moon Telesto and the shepherd moon Pandora, Calypso has shown itself to be unusually smooth, much smoother than most of Saturn's larger moons. A leading hypothesis for Calypso's smoothness is that much of the moon's surface is actually a relatively loose jumble of rubble -- making Calypso a rubble-pile moon. The loose nature of the small ice pieces allows them to fill in many small craters and other surface features. Calypso orbits Saturn always behind Saturn's much larger moon Tethys, whereas Telesto's orbit always precedes Tethys. Calypso's extremely white surface -- not unlike fresh snow -- may result from the continuous accumulation of fresh ice particles falling in from Saturn's E ring.